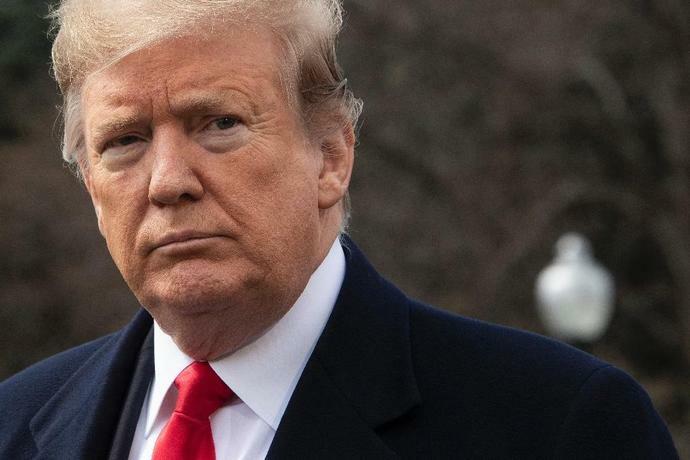 Washington (AFP) - President Donald Trump on Thursday announced the United States should recognize Israeli sovereignty over the Golan Heights, an area seized from Syria and annexed in a move never recognized by the international community. "After 52 years it is time for the United States to fully recognize Israel's Sovereignty over the Golan Heights," Trump said in a tweet. Trump called the territory "of critical strategic and security importance to the State of Israel and Regional Stability!" This is the second recent diplomatic bombshell dropped by Washington, which is Israel's main backer, in seeking to redraw the fraught Middle East map. In 2017, Trump went against decades of practice by recognizing the disputed city of Jerusalem as Israel's capital, rather than the previously accepted Tel Aviv. Trump will host Israeli Prime Minister Benjamin Netanyahu at the White House next Monday and Tuesday. The Israeli leader, who is running for reelection, will be in Washington for the annual conference of the powerful American Israel Public Affairs Committee (AIPAC) pro-Israel lobbying group. The Golan Heights move was hinted at a week ago when the State Department changed its usual description of the area as "occupied" to "Israeli-controlled." The Trump State Department has also dropped previous definitions of the Palestinian territories of the West Bank and Gaza Strip as being "occupied" by Israel. Israel occupied the Golan Heights, West Bank, East Jerusalem and the Gaza Strip in the 1967 Six-Day War. It later annexed the Golan Heights and East Jerusalem in moves never recognized by the international community. Trump's latest shakeup comes ahead of the expected unveiling of a White House plan for Israeli-Palestinian peace. Palestinian leaders, who broke off contact with Washington after the recognition of Jerusalem by Trump, say they expect the plan to be blatantly biased in favor of Israel.